Daniel is the founder and president of Exclusive Insurance Brokerage, a nationally recognized Brokerage General Agency, with offices located in Agoura Hills, Ca; San Diego, Ca; Bismarck, ND and Austin, TX. Starting in 2009, Dan envisioned a brokerage that teamed life consultants, case designers, and a case manager to partner with a limited number of high end advisors that worked with the Mass Affluent. This boutique style of partnership and unique approach has allowed Exclusive BGA to become the model of life consulting within the brokerage industry. Dan’s ideas, strategy and execution to uncover new business opportunities within an advisor’s current book of business makes him a true business development expert. His “smart” solutions, education and ideas help advisors find answers for potential clients, offering something that is really and truly in their best interest. 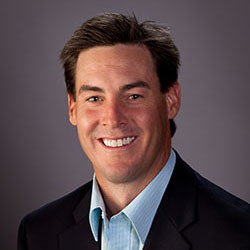 Dan resides in Oak Park with his wife and two children and carries a scratch handicap at North Ranch Country Club.